I thought this was a clever ad and I wanted to hear what your 'caption' ideas would be for this illustration. 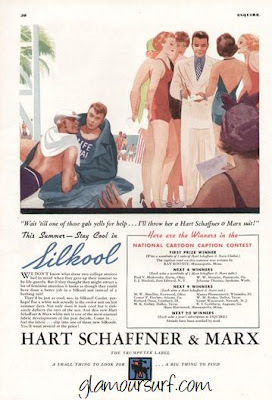 The ad is from 1937 and features two lifeguards looking up at a group of gals in swimsuits hoping to get an autograph from what appears to be a celebrity. What say you?